Autumn is here and students are out and about celebrating the festive season with the hospitality sector. With autumn upon us, there are so many exciting events hospitality professionals can be exploiting to draw student footfall to their venue. Whether it’s Halloween, Guy Fawkes’ Night or the general merriment that comes alongside students’ first full month at university – now is the time to be preparing your venue to attract this key customer base. A statistic from Conlumino conducted between 2014-2015 indicated that Brits spend nearly £460 million on Halloween celebrations, of which £75 million is spent on entertainment. With so much cash being injected into the economy during this key period, a lot of this is being contributed by students looking to go out and have a good night out. The On-Trade sector is in a key position to ensure this money comes there way; and to start, venues need to be prepared. On average, students start confirming their Halloween plans anywhere between 3-5 weeks before October 31st. As a result, venues need to be planning exactly what they intend to do to attract these students; whether its host a themed club night, offer a Halloween games night, or a special seasonal cocktail promotion. The marketing for this is key. Getting the word out to the student sector specifically is slightly different to conventional marketing; we recommend utilising your social media. You can be posting visuals of the venue, special Halloween-themed drinks and offers too. Moreover, flyering has proved to work well with this demographic, especially in closed campus environments. Feel free to talk to the local student union, who may be able to post some of the flyers up in different buildings across campus. Get to work making your venue look attractive. A lot of the time, in the digital age, making your venue more ‘instagrammable’ will attract students to your venue. While this doesn’t necessarily mean you need to be spending a fortune on Halloween decorations, you should be considering some form of decorations. Even if you purchase cheaper ones from a wholesaler, be creative in your approach to transforming your venue. 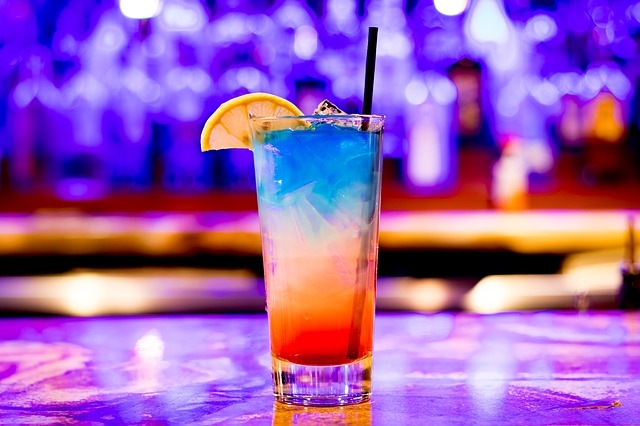 We heavily recommend making a themed cocktail list – even if you only offer between 2-3 Halloween-style cocktails, it will give students a chance to enjoy the festivities, you to show off your cocktail making skills and others to snap pictures of them to post and share through social media. 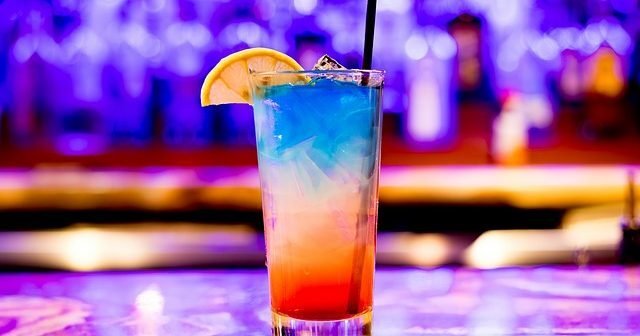 3 tbsp of vodka, 3oz. of pomegranate juice and 6oz. of Seltzer. 50ml of vodka, 100ml of milk, dash of cream and any black liquor to garnish. 2oz. Viniq Original, 2oz. dry champagne and dry ice. Lastly, make sure all of your staff are also in the Halloween spirit. Whether it’s wearing matching costumes or donning a silly pair of festive-themed ears, showing that everyone is enjoying the evening will really create a fun atmosphere in your venue. Guy Fawkes’ Night is often celebrated through epic firework displays. 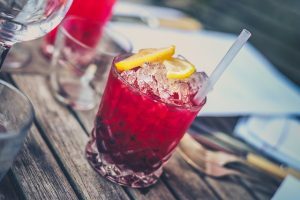 There is a clear advantage if you’re a venue with a roof garden or great city views; this alone is enough to attract droves of students (and other customers) to your venue. This should certainly be advertised, as often is saves students the cost of a ticket to see the display up close. However, if you don’t have this to offer, you can still welcome people for ‘pre-firework’ drinks, or a list of themed cocktails. You can even play on the treasonous plot itself, by offering an immersive ‘Guy Fawkes’ Experience’ where students can come along to foil the plot. Immersive experiences have proved really popular with this demographic (for example, escape rooms, etc) – however, these often need to be meticulously planned. If you’re close to the location of the firework display, then the natural footfall to the area may be in your favour. Again, focus on flyering prior to, and on the night of, the display – this way people who don’t have any plans may decide to enter your venue. In general, October proves to be one of the busiest months in the hospitality calendar for student footfall. Whether, like we already discussed, you have students drawn to your venue for Halloween or Fireworks’ Night, there are also more students out and about this time of year. This is due to the fact that they are enjoying their first full month at university, and it’s the furthest month from their exam season whilst being at university – as a result, students are out, bonding with one another, and enjoying pubs, bars and restaurants across the country.